GUNUNG GEDE PANGRANGO, Indonesia — Shrouded in mist and cloud, the twin volcanoes of the lushly forested Gunung Gede Pangrango national park are the brooding guardians of nature's last stand on teeming Java island. Indonesia's overflowing, polluted capital is a couple of hours north, and with Trump-branded properties being built next to this protected area, Jakarta may soon feel even closer. Over the next four years, a sprawling "Trump Community" will be built in this pocket of Indonesia's most densely populated island, with a new road leading to it. It's part of broader plans, including a massive theme park, that have alarmed conservationists who fear development will overwhelm a refuge for some of the archipelago's most threatened species. The 3,000-hectare (11.6-square-mile) project is the brainchild of President Donald Trump's Indonesian partner, billionaire and presidential hopeful Hary Tanoe. Gunung Gede Pangrango is one of the last virgin tropical forests in Java, where only 2 percent of original forest remains. It nurtures a dazzling variety of flora and fauna: more than 2,000 species of ferns, mosses and flowering plants and 250 species of birds. Endangered species include the Javan slow loris (the world's only venomous primate), the Javan leaf monkey, the Javan leopard (whose total population numbers less than 250), and the Javan hawk-eagle and Javan silvery gibbon. Tanoe's MNC Group will build a six-star Trump hotel along with a golf course, country club, luxury condominiums, mansions and villas — billed in its promotional material as a "Trump Community." Together with a theme park, hotels, shops, homes and a dining and entertainment district that MNC is developing on its own, this first stage of "Lido City" will occupy between 800 and 1,000 hectares. A visualization on the company's website shows a valley filled with a man-made lake and a fantastical theme park. 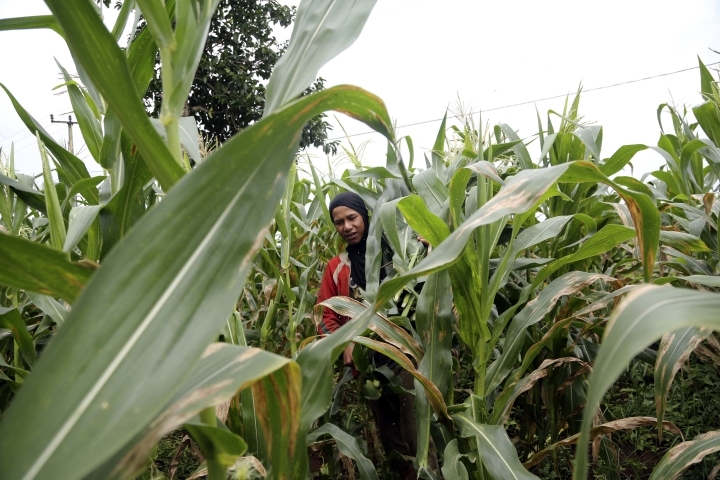 Tanoe plans to fill out the remaining 2,000 hectares and has told The Associated Press he wants to expand further. MNC is also building a toll road that improve access to nearby cities and Jakarta. The Lido City project does not require an environmental impact assessment, though some parts such as the theme park will, according to Tanoe. Park officials worry construction will cause wildlife to flee and that the mini-city MNC touts as "fulfilling the dream of the people of Indonesia for world-class entertainment" will bring an uncontrollable influx of people and rubbish. They question how the development will meet its substantial water needs in an area that's a crucial catchment for the 30 million people of greater Jakarta. But nor can they afford to antagonize MNC or the Trump Organization, which will manage the Trump-branded properties. The project is going ahead whether they like it or not and the main access road to the park, which has a controlled 50,000 visitors a year, cuts through MNC's land. The park, which is part of the Ministry of the Environment and Forestry, has signed a memorandum of understanding with MNC concerning the development of eco-tourism; neither it nor the company would provide a copy. "We are still discussing with them about how to avoid a massive exodus of wildlife while they are working on construction," said the park chief, Adison, who goes by one name. "Before they start construction we want them to adapt to how the wildlife exists in this national park. You can open your business here but you have to respect your neighbors." Adison said park officials believe company executives are beginning take conservation more seriously, possibly because the Trump Organization's involvement has given the project a higher profile. MNC's corporate secretary said its executives were too busy to be interviewed and did not respond to emailed questions about how the company planned to mitigate environmental damage. The Trump Organization redirected questions to a public relations company that did not provide any response. In a January interview, Tanoe said developing the whole 3,000 hectares will take more than a decade and cost $2 billion to $3 billion. The Trump properties will cost more than $300 million. 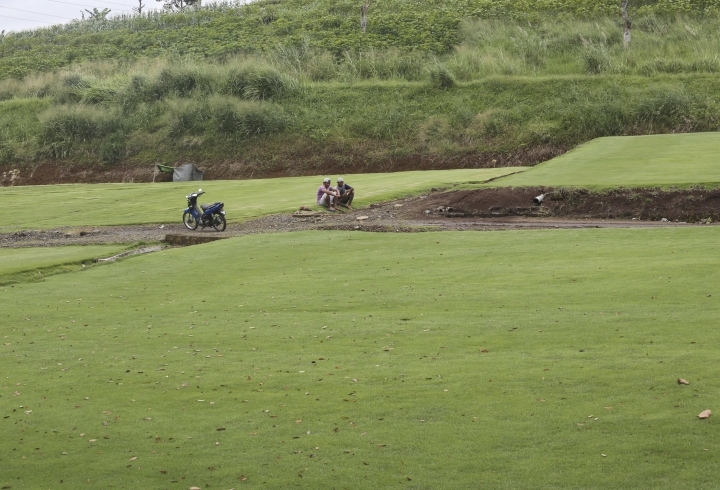 Getting the construction permits for the first phase was "easy," Tanoe said. The golf course, designed by former world No. 1 golfer Ernie Els, is already under construction. Tanoe teamed up with the Trump Organization about three years ago; they also plan to redevelop an existing Tanoe hotel and golf course overlooking a sacred temple on the tourist island of Bali into a luxury Trump property. 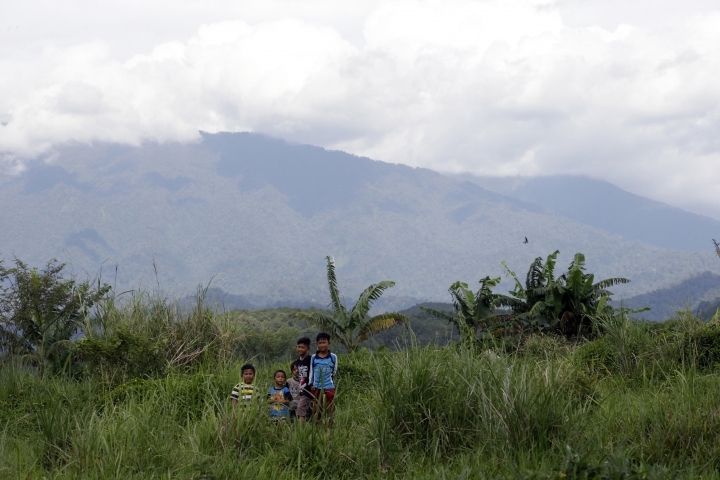 Elan Juanda, an environmental activist involved with education in the park, said he is "very pessimistic about forest conservation in this region when the project is built." "It's impossible that their project will not cause damage to the environment as well as changes in the behavior of animals," he said. More than a decade of camera-trap images show how sensitive wild animals are to human activity, he said. They show wildlife including the Javan leopard in remote parts of the park, but almost never in areas frequented by hikers. Experts also say that construction noise will be stressful for the gibbons at the rehabilitation center. Though a private development, Lido City suits the Indonesian government's ambitions to create more tourist destinations it hopes will be as popular as Bali. With more than 250 million predominantly young and poor people, Indonesia has a pressing need for jobs. Wild gibbons are particularly vulnerable because they are homebodies and rather than move to a new range will stay put and suffer potentially lethal stress, he said. To be effective, the memorandum of understanding needs to be upgraded to a binding technical agreement, he said. 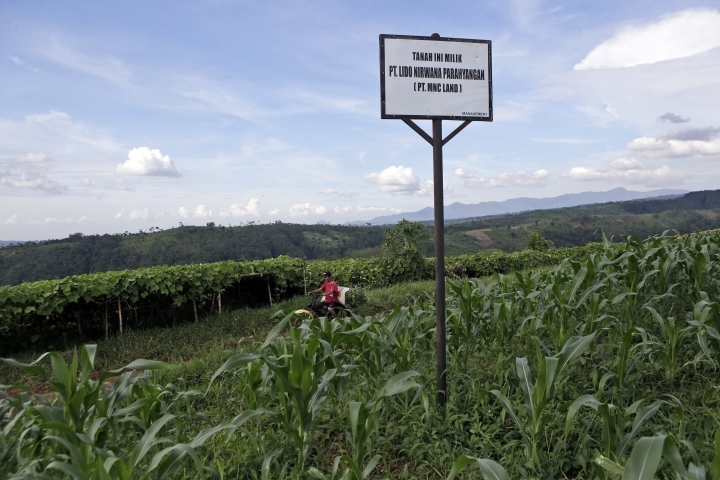 Even then, water use will be a major concern because it will inevitably come at least in part from Gunung Gede Pangrango. In a broader sense, ongoing development has immense implications because the national park is a crucial water catchment. Jakarta already experiences annual flooding, and degrading the national park could make it much worse, said Ario. "Honestly I hope they can build a sustainable development," he said. "I really, really hope for that. Because the area is very close and there can be an impact for the environment. Honestly I'm worried about it." AP writer Niniek Karmini in Jakarta, Indonesia, contributed to this report.